Here are three things you should consider before you start estate planning, and why it matters. Depending on where you live, there might be several laws that dictate what constitutes a legal will. For example, if you live in Washington, the minimum requirements for a last will and testament are that it be a written document signed by you and two witnesses in the presence of a notary public. 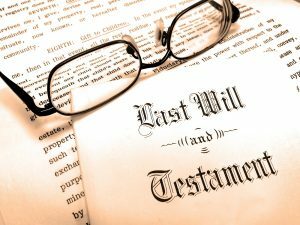 Although you might be tempted to scribble out a will if your health takes a turn for the worst, waiting until it is too late might put your final wishes in jeopardy. Because state law isn’t always easy to abide by, it is a good idea to work with an estate lawyer who has experience drafting wills and planning estates. During your initial visits with a lawyer, you will be able to talk about your wishes and your estate, making it easy to streamline plans while abiding by the local law. If you have wills that were written previously, then bring them along with you to have them updated. In some states, wills can eventually expire, especially since executors and dependents can change. Your attorney can go over previous documents with you and draft a modern version, helping you to preserve plans and protect your assets. Before you begin the process of drafting a will, it is important to think carefully about your dependents. Do you currently have a spouse or children that you provide for? Do you have senior relatives living in your home? When you plan your estate, remember that the goal should be to help them to maintain their quality of life after you are gone. For example, if you have a life insurance policy, a home, and a business that will need to be passed on after your death, think about who would need the assets and how likely they would be to spend them wisely. While young parents might be concerned about creating trusts for their children, seniors might be more concerned about creating educational trusts for grandchildren who are going to college. In the event of your death, you will need an executor to carry out the instructions presented in your estate plan. For example, your executor will likely need to pay off outstanding debts, distribute assets, and sell a shared property, and follow the instructions in your will efficiently so that your other last wishes can be met. Before you appoint an executor, think about their willingness to help in the event of your death, and their ability to take care of your assets. Try to choose someone who is naturally organized and who is committed to doing the right thing. Before writing their name into your estate planning paperwork, sit down with them and talk with them about taking care of the job. If you have young kids, then your executor might also need to either act as or appoint legal guardians for your children. Talk with potential executors about their future plans, how willing they are to help, and how much time they could dedicate to the process if something were to happen to you. Are you concerned about making sure that your family is taken care of after you pass away? Talk with our lawyer, Ruth Emily Vogel, here at Ivy Law Group PLLC. In addition to focusing on treating each of our clients like a member of her own family, Ruth has over 30 years of experience helping families to create estate plans, guardianship arrangements, and wills.